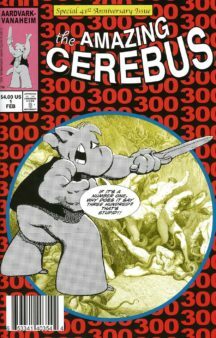 Cerebus’ Guide to Chicks’; Pineapple Guys; Ironic Punishment Division; ‘Bull-Fighter’ the super-hero; Also reprints online strips from October 2016: Triplicate Girl; Job Motivation in Hell; Getting High in Hell; King Solomon’s New Poem: ‘My Colostomy Bag Is Almost Full’; Pixilated (1848); Schizophrenia; Monomania (1823); Projection (1557); Jack Kirby’s Demon vs Matt Wagner’s Demon; the (Minimum) Wages of Sin; Cerebus vs. The Amazing Hulk and Superman and Pigeon-Man; Cerebus: Hard-Boiled Detective In Hell; A Little Repentance; Groot? or Suicide? 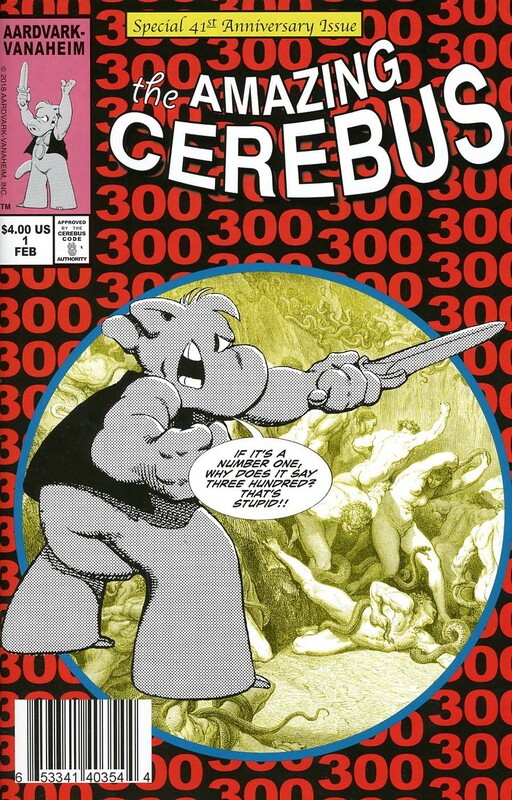 Be the first to review “Amazing Cerebus 1 (Spider-Man 300 homeage)” Click here to cancel reply.